The Creme Vinyl Doppio is the epitome of classic elegance and timeless design. Hand-built in Europe and guaranteed for life. 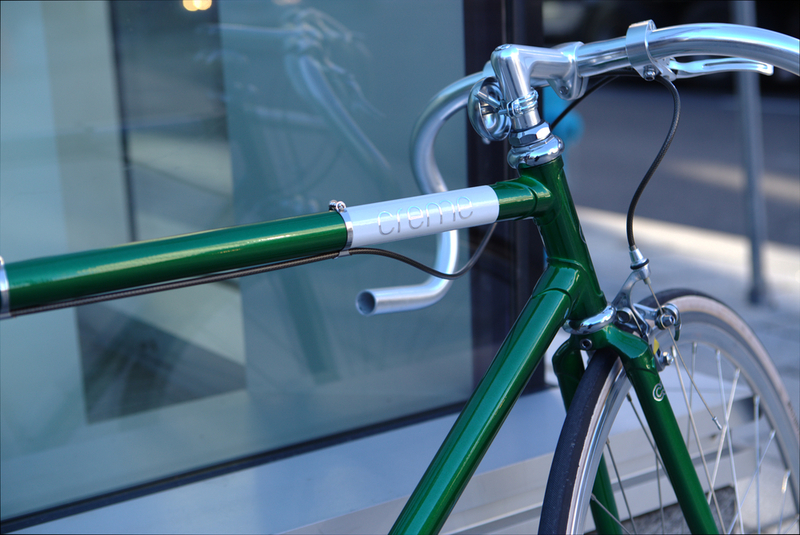 The strong steel frame allows for a fast and comfortable ride, especially on the streets of Montreal. The British metallic racing green is bound to turn heads. It comes fully equipped with brakes, leather grip take and a flip flop hub to build to your preference. Posted on December 3, 2015 by velolifestyle.com and filed under bike review and tagged creme cycles bike review fixed gear. We are happy to announce that we are now restocked Butchers & Bicycles cargo bikes in Canada for 2016. We have received lots of great feedback for those who had the chance to test one in Montreal and Toronto or to rent one during the summer months. Due to popular demand, we were unable to fullfill orders in time and only a few families got their MK1 last year. If you are interested please do not hesitate to contact us if you have further questions. We ship 100% assembled Canada wide. Posted on October 30, 2015 by velolifestyle.com and filed under cargo bike, bike review and tagged butchers & bicycles cargo bike. Time and time again, we see the bicycle industry apply new innovations and tech to the high end road bikes and mountain bikes. Now, imagine an urban bicycle reconfigured based on European design and aesthetics. This unique geometry on two wheels, also has Dutch practicality , the front and rear lights are beautifully integrated into the top bar. 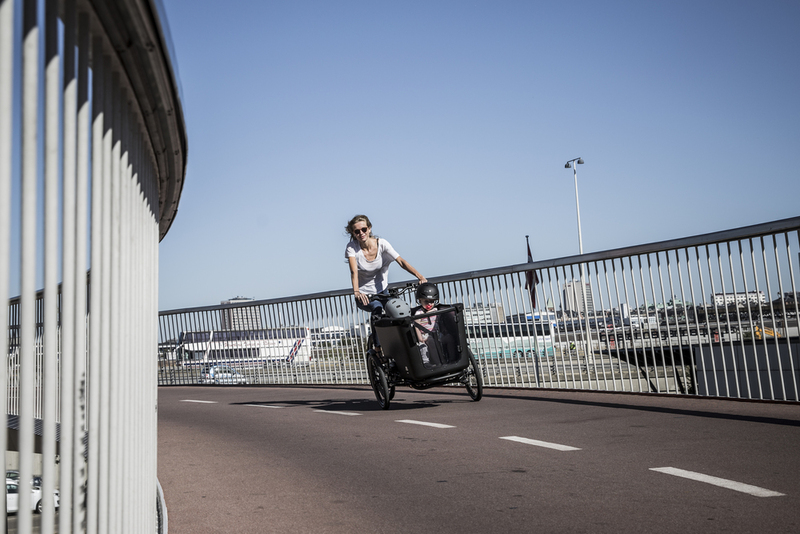 Meet the Vanmoof S-series from Amsterdam. We like to think of the S-series as not just a bicycle but as a sophisticated, timeless and trafficproof mode of urban transportation. The Vanmoof S-series has something for everyone. First we begin with the S3, which is available in a 26" or 28" sizing. Within the iconic Vanmoof geometry, there's the built in Philips LED lights for higher visibility, 8 internal gears for versatility and ease, especially in hilly cities like Montreal, Calgary or Vancouver. You have all the necessary add ons like mudguards, full chainguard and the optional rear and front rack. The combination of tough tires, air cushion saddle and upright position, makes for a very smooth ride. The S6 is interesting for women who want to commute to work in chic attire. It is a great unisex option, because of it's step through geometry. One of our favourite Vanmoof bikes would be the S5. It is extremely limited and luckily we will be able to supply Canadians into 2016. The Vanmoof S5 puts other city bikes to shame. 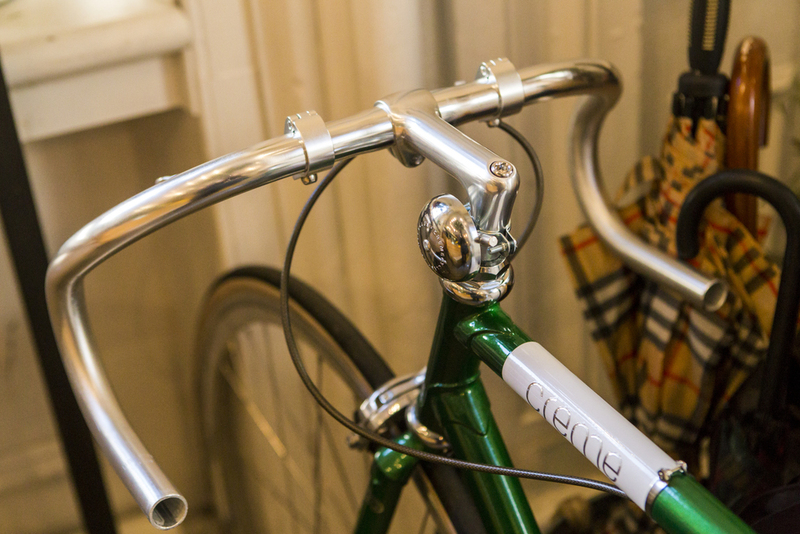 It has an integrated ABUS chain lock built into it's iconic frame. You will not find a more complete urban bike on the market today. 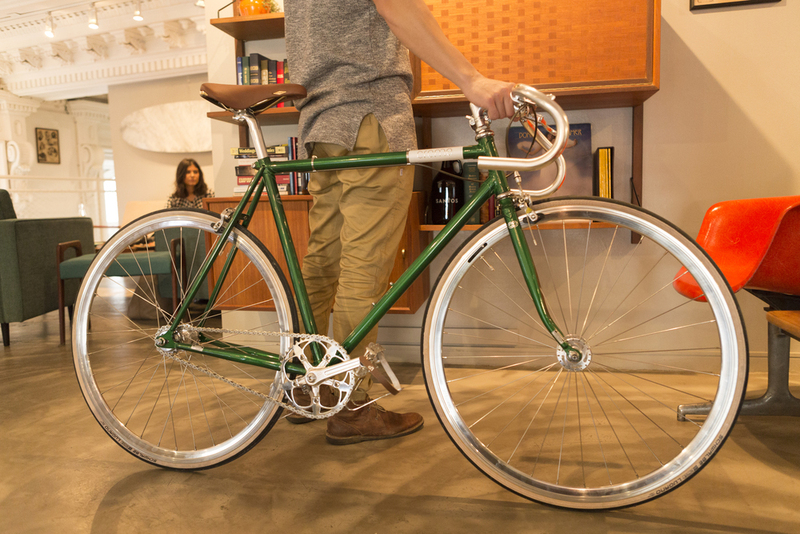 Montreal & Toronto; this Vanmoof will confound those pesky bike thieves. If you happen to be in Montreal or at the Toronto International Bicycle Show 2016, we highly recommend that you test a Vanmoof S series. They are available exclusively in Canada on velolifestyle.com or Allo Velo in beautiful Montreal. Posted on August 21, 2015 by velolifestyle.com and filed under bike review and tagged Vanmoof montreal old montreal vanmoof montreal. When it comes to cycling and bike design, the Dutch are always a step above. VANMOOF has once again out done themselves. The DÜSENJÄGER is their latest model: single speed, 26 inch wheels. You've never moved at such a speed. It comes with VANMOOF's standard built-in front and rear lights and their "stop on a dime" disc brakes. As the name suggests (DÜSENJÄGER means Jet fighter), it sails down the roads and spits the detritus. Its 26 inch wheels, stiff frame, and 18T cog allows for quick acceleration with no loss of torque. Overall, the VANMOOF DÜSENJÄGER makes for a great Montreal city bike. See and be seen in unlit streets or parks. 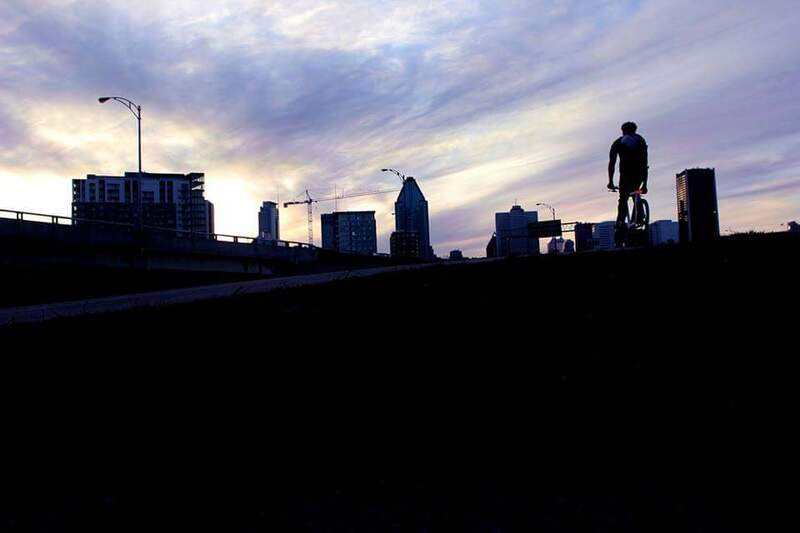 Ride effortlessly along the Lachine Canal. Climb up Parc Ave. or zoom down St-Urbain street. What a fun bike to ride: it calls you out all the time. Price point is CAD799. 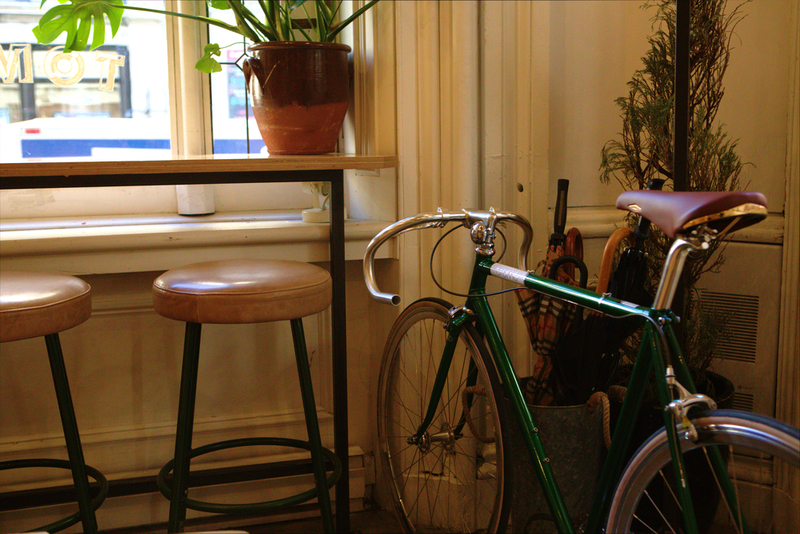 VANMOOF is a well established brand known for its innovation in commuter bicycles. The DÜSENJÄGER includes Dynamo light system, disc brakes, wide racing profile tires, lightweight frame and attachments for a rear or front rack or a built in lock. Posted on May 21, 2015 by velolifestyle.com and filed under bike review and tagged montreal vanmoof biking old montreal vanmood dusenjager Vanmoof quebec bike review.